Ric with a spiny turtle at the Turtle Survival Alliance facility near Charleston, S.C.
Day 4: St. Augustine, Fla. to Charleston, S.C. to Columbia, S.C.
Today was another great day on our “reptile road-trip!” We said goodbye to our friends at St. Augustine Alligator Farm, and they sent us away with four new crocodilians and some amazing coffee! 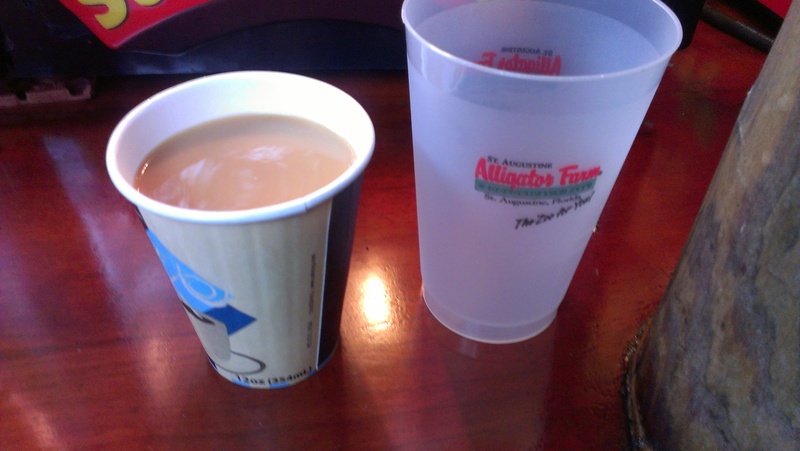 (A special thanks to Kevin for the coffee! He definitely deserves a shout-out for that one!). We were sooooooo grateful for good coffee. I really want to “gush” for a minute about the St. Augustine Alligator Farm. What an AMAZING place! They have all 23 species of crocodilians, they do amazing conservation work, and they have an amazing educational zoo/exhibits! Their institution is truly amazing and I highly encourage anyone and everyone to take a visit there at some point in your life. Definitely one of the best zoos I have ever visited (and I have visited over 25 different zoos and aquariums in the U.S.!). Anyway… I’m done “gushing” about them (for now). 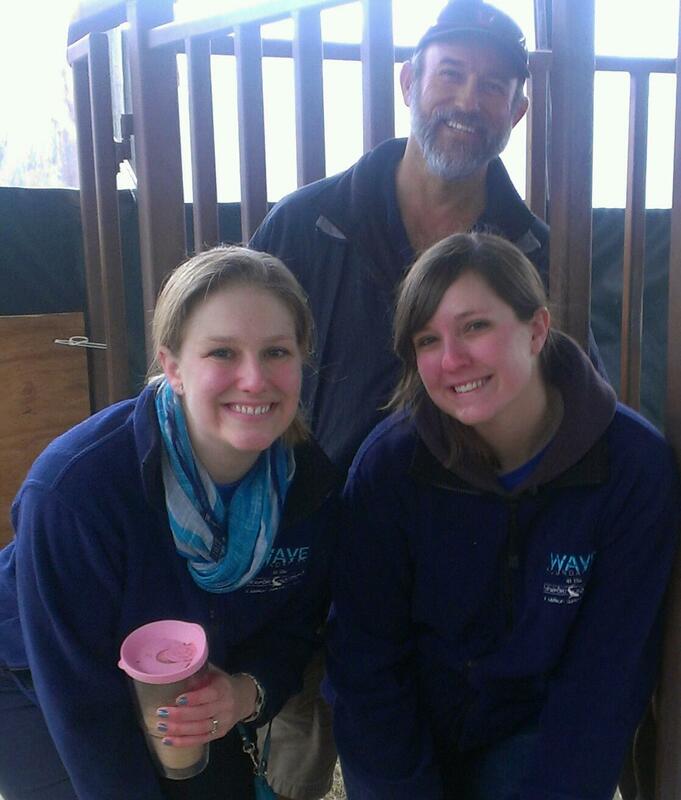 We have been going non-stop since Sunday morning, and Becky said it best that “Bravo is going to be the 600-pound cherry on an amazingly busy few days!” Thursday morning we are arriving at Riverbanks Zoo to start the process of getting Bravo back to Newport Aquarium. I wish I could tell you all the game-plan for getting Bravo in his crate in the truck, but we really aren’t sure yet. We will have to analyze the surrounding area and weigh the pros and cons of a few different scenarios before we decide on the best, safest and easiest loading option. I am hoping to get some video of this process, so check back later for an update! 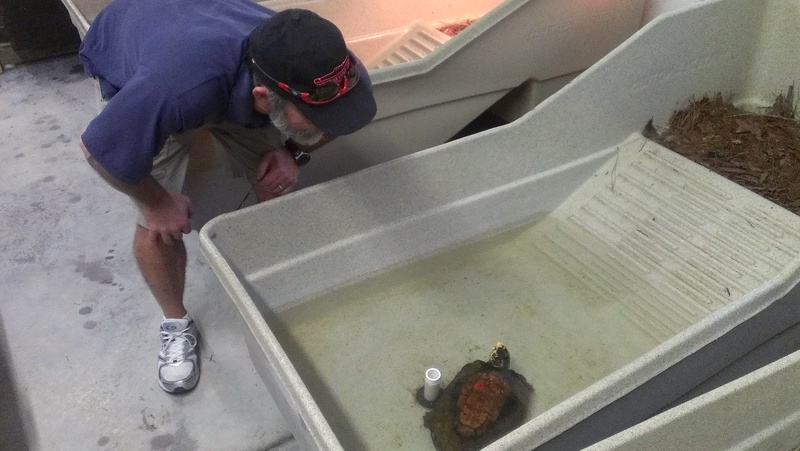 Wednesday evening we had the amazing opportunity to visit the Turtle Survival Alliance (TSA) facility near Charleston, S.C., which isn’t too far from the Riverbanks Zoo in Columbia, S.C. The staff there was truly inspiring. They were some of the most passionate people who I have ever met, and I respect the work they do for turtle conservation. 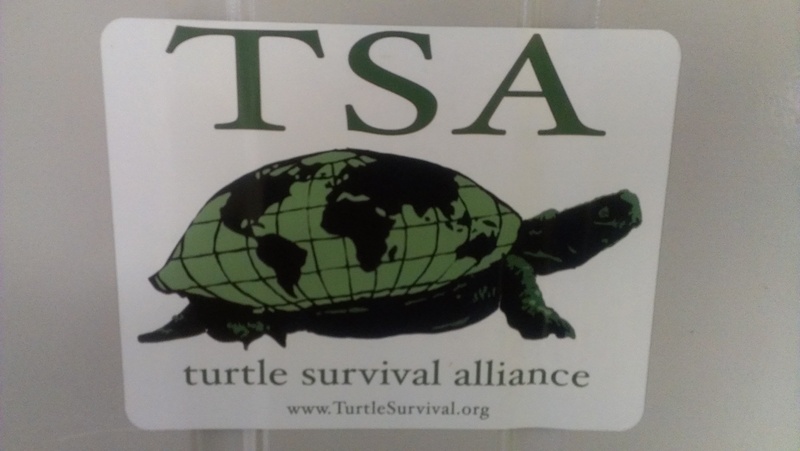 To give a little background on the TSA, they are an action-oriented global partnership that is committed to zero turtle extinctions in the 21st century. 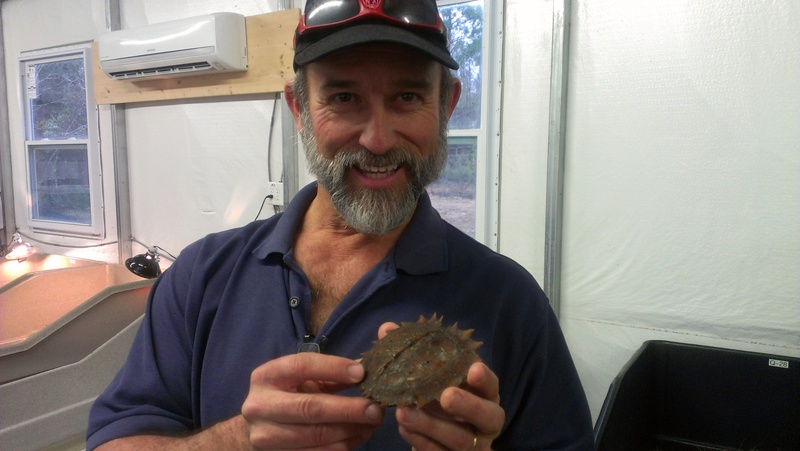 Ric with a turtle at the Turtle Survival Alliance facility near Charleston, S.C. The WAVE Foundation at the Newport Aquarium hopes to get involved with their work and help them achieve their mission of “zero turtle extinctions in the 21st century”. Well, I am going to have to answer a question that keeps popping up from people who have been reading this blog… “Are we enjoying the Southern weather?” The answer is NO! It actually isn’t warm at all… We have been joking with each other this entire trip that we have brought the cold and the rain with us from Kentucky. Apparently, St. Augustine was 80 degrees and sunny the day before we arrived, but it was 40 degrees and raining while we were there … I guess it is better than the ice and snow that Kentucky got before we left, but we wanted everyone to know that we weren’t basking in the warm sun at all during this trip! Chattanooga, Tenn. was actually the warmest day that we had (at about 50 degrees)! However, we still need to keep the truck at 100-degree temperatures to keep the back warm enough for the reptiles… so at least we have that warmth, right?